For the coordinated couple. 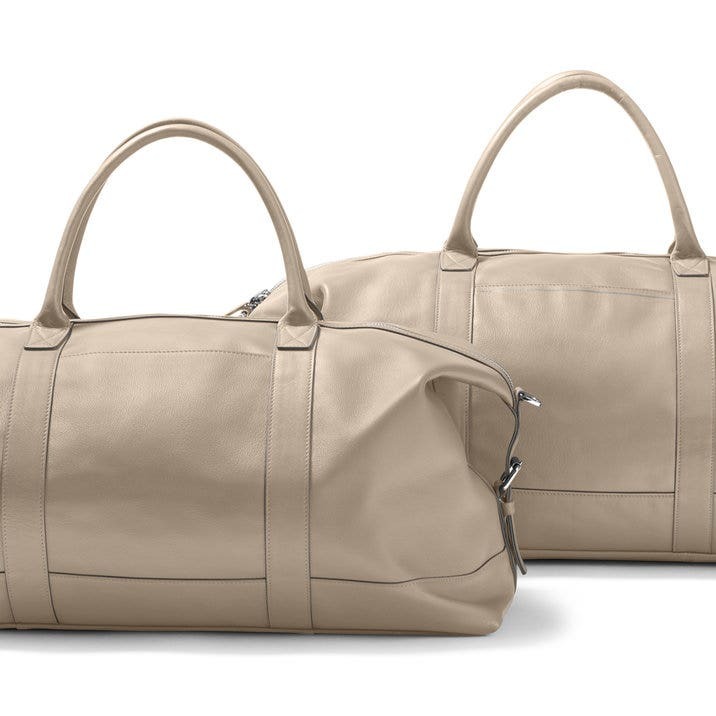 The His & Hers Kessler Duffle Set includes one Large and one Medium size of the Kessler Duffles with ample storage and classic silhouettes. This set is great for weekends away and the versatile side tabs allow you to expand for a boxier look with more space or tighten to compact the duffles. Now the only question is who gets what size.